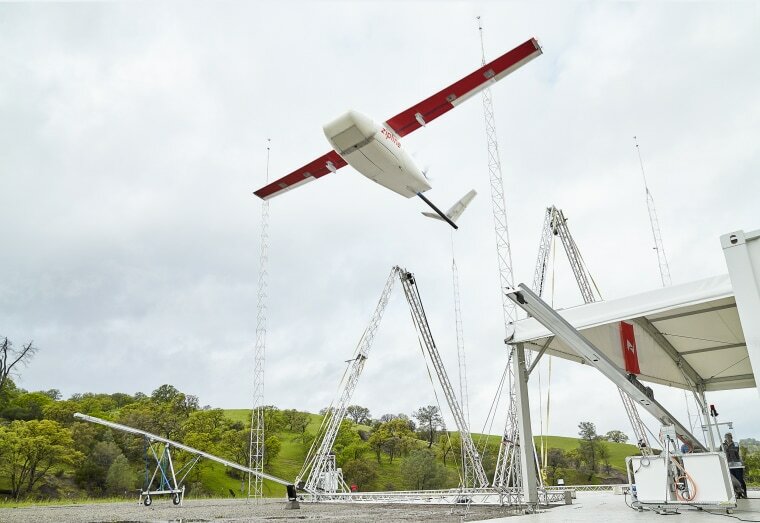 The drones can deliver blood or other medical supplies up to 50 miles away. From fighting wildfires to inspecting pipelines to spying on poachers, aerial drones have been put to all sorts of uses. And now they're helping save human lives. In 2016 a Silicon Valley startup began using its drones to deliver blood in the East African nation of Rwanda — and the company plans to bring the service to the U.S. later this year. Made by Zipline in Half Moon Bay, California, the battery-powered drones look like small planes and weigh about 25 pounds. They fly at speeds of up to 80 miles an hour and can deliver up to four pounds of blood or other medical supplies over distances of up to 50 miles. In areas with few or poor roads, the drones can deliver their precious cargo faster than cars or trucks, dropping the supplies via parachute when they reach their destination and then returning to their launch site for reuse. “We had heard about this big problem in places with poor road infrastructure that healthcare suffers a lot because they couldn’t get supplies to doctors when they needed them,” said Keenan Wyrobek, Zipline's chief technologist. Drone deliveries in Rwanda have reduced the waste of blood products by more than 95 percent, according to Zipline. Dr. VJ Periyakoil, an associate professor of medicine at the Stanford University Medical Center, who is not associated with Zipline, said drones represent an opportunity to bring critical medical services to people or clinics in remote parts of the country. "When people are very isolated and doctors in these clinics have very limited resources, anything that can bring them supplies that they need in a timely fashion without things getting spoiled on the way is always a welcome use of technology," she said. "Anything that can help with mitigating barriers to access is something that would be of great service to all patients anywhere." The American Red Cross, the largest single supplier of blood in the U.S., relies mostly on ground transportation to deliver blood. The organization hasn't worked with Zipline, but Jodi Sheedy, a spokesperson for the organization, told NBC MACH in an email that "we see the most blood product transportation potential for local hospital deliveries here in the U.S."
But Sheedy added that there are no plans to implement drone delivery of blood until the technology has been further evaluated. The Federal Aviation Administration's current regulations restrict drones from flying beyond the line of sight of the operator. But Zipline is one of 149 applicants that have submitted proposals to an FAA pilot program that offers private companies the opportunity to partner with state and local governments to figure out how to safely operate drones. Zipline will know in early May if it has been selected to move forward and start flying deliveries in the country.